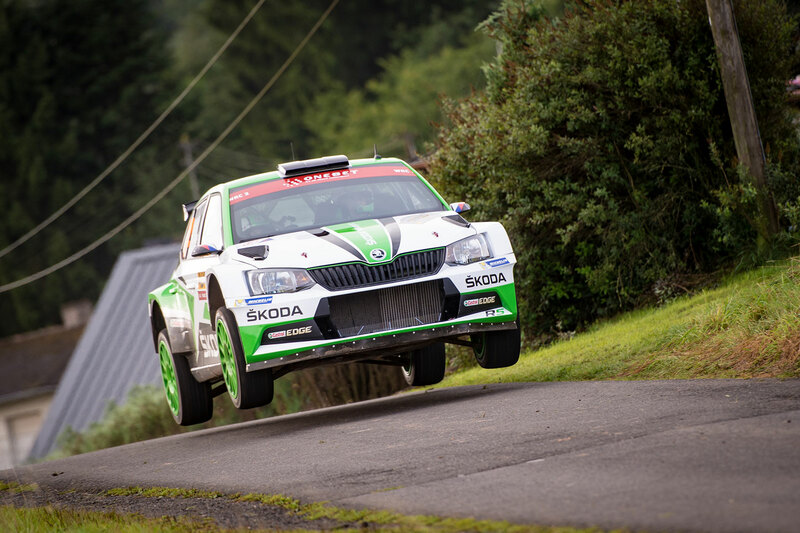 After twisty vineyard stages on rainy Friday followed by sun-baked concrete tracks on the infamous military area of Baumholder, the last day of Rallye Deutschland offered mixed conditions on four very fast stages in the Saarland area close to Lake Bostal. 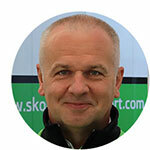 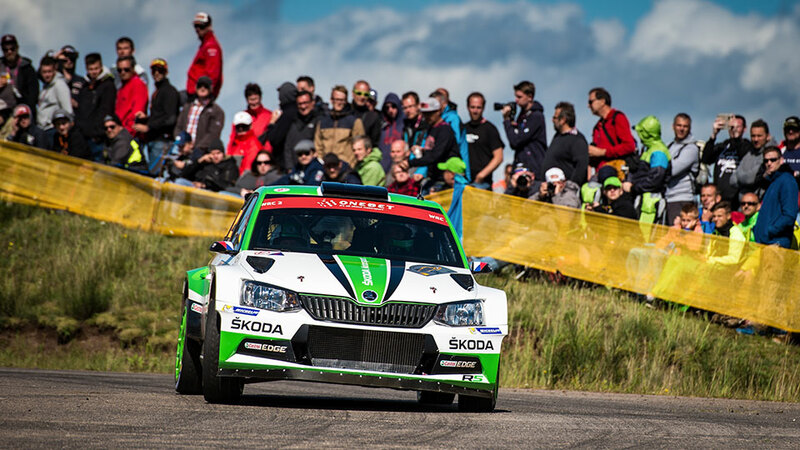 With a fast and controlled drive Jan Kopecký / Pavel Dresler secured their overnight second place in WRC2 category. 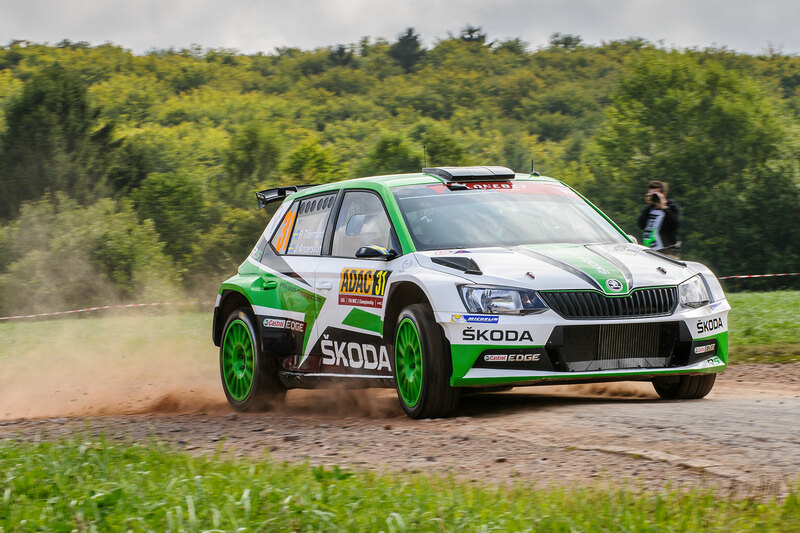 A possible win slipped through their fingers on Saturday when they suffered a puncture on the 42 kilometres long “Panzerplatte” stage on Baumholder. 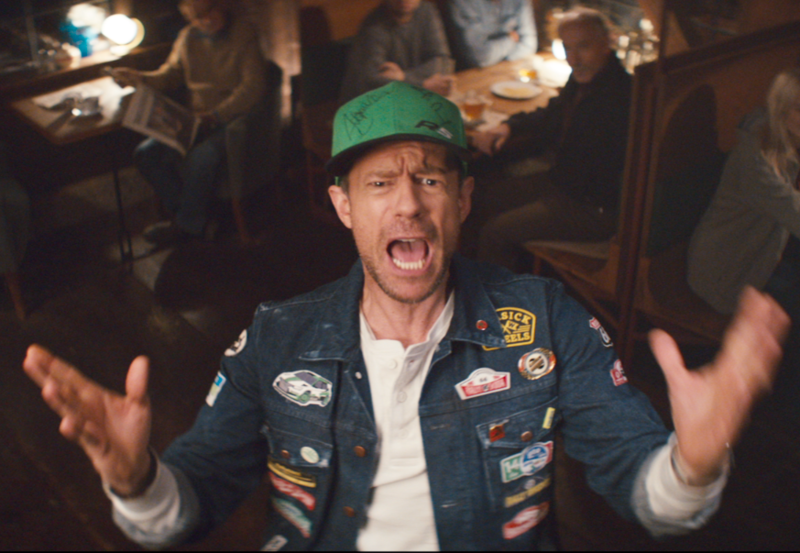 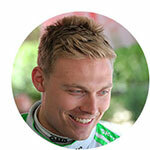 “That’s rallying. From there on we concentrated on bringing home the second place and used the rally as a kind of extra training for the Barum Rally next weekend,” said the reigning Czech Rally Champion. 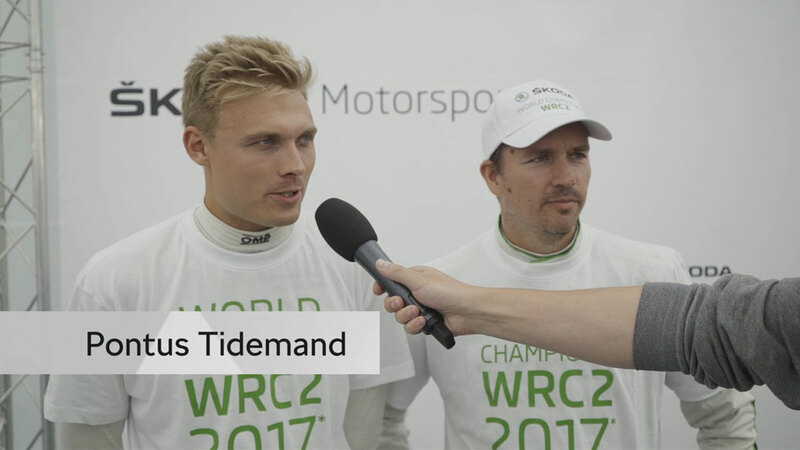 For the Swedish pairing Pontus Tidemand and co-dodriver Jonas Andersson the challenge was different. 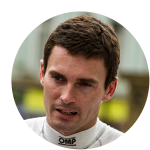 “After a puncture on Saturday we were literally in the middle of nowhere, with a gap to Jan in front of us and a comfortable margin to the fourth position in the WRC2 classification. 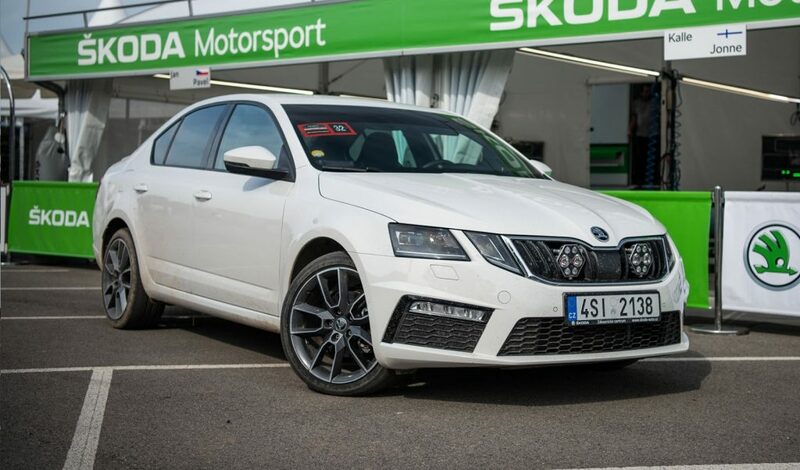 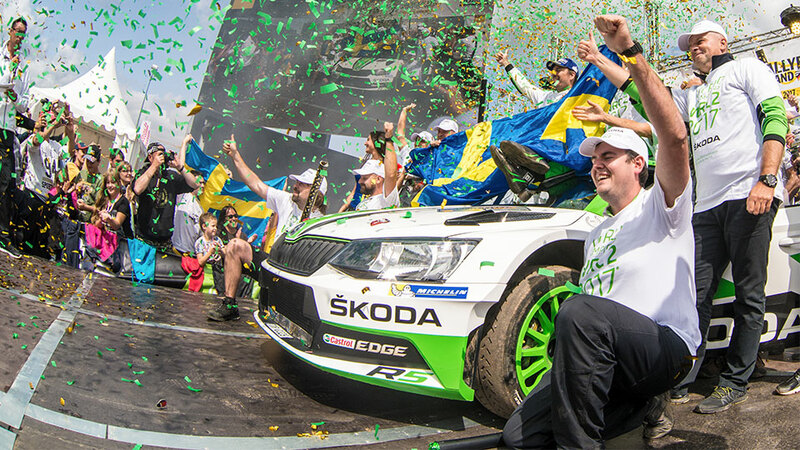 On the last day, it was all about bringing the car to the finish in one piece in order to win the drivers’ title and give the team the reward it deserves,” commented the Swedish ŠKODA driver. 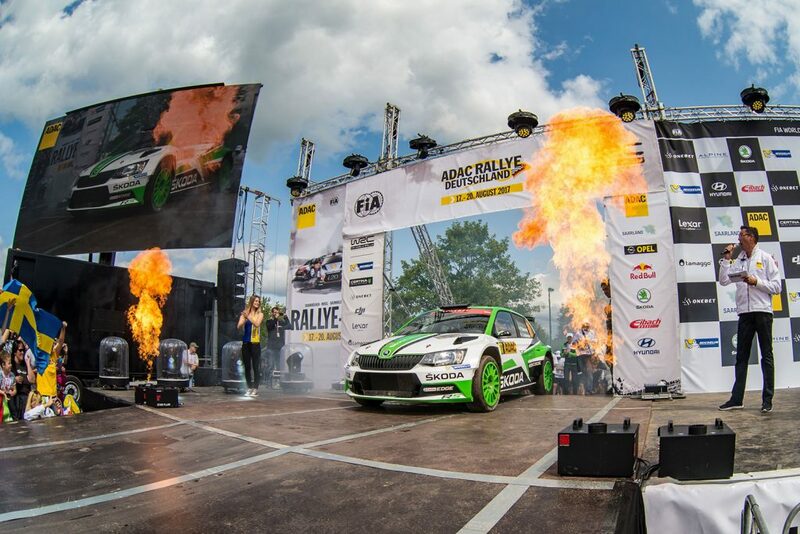 After four wins (Sweden, Mexico, Argentina and Portugal) and a second place at Rally Poland, a third place at Rallye Deutschland was enough for Pontus Tidemand / Jonas Andersson to secure the World Rally Championship (WRC2) already three rallies before the end of the season. Already three rallies before the end of the season Pontus Tidemand / Jonas Andersson secured the drivers’ titles and ŠKODA won the Team Championship in WRC2.